Years of rigid officer schedules and mandatory five-day workweeks have hindered the Baltimore City Police Department’s ability to fight crime in the most effective way possible. But starting this past week the department has implemented a dramatically modified system to determine when and where its officers will patrol the streets. The major changes include the adoption of a four-day workweek with 10-hour days, and the abolishment of a provision that once required the same number of cops to be on duty during all shifts throughout the week, regardless of demand for their services. The city and the police union struck a deal with these two modifications plus a 13 percent raise for all officers, which the city declares it will offset by eliminating over 200 vacant positions. Officials are confident that their new system will cut costs and reduce crime; a claim they say is backed by data from a test run of the new system just last year. The changes are long overdue for a variety of reasons, including the massive expense of overtime payments. The traditional five-day workweek didn’t afford supervising officers the flexibility to schedule fewer cops at times with low criminal activity, and more cops at times with high activity. Sergeants simply had to fill all the shifts with the same number of officers. This resulted in the department constantly having to call in extra cops to supplement the force during heightened periods of crime, and the help didn’t come cheap. Last year the city spent more than $11 million on overtime payments, which was the major reason the department was $19 million over the allotted $444 million budget. This year the department estimates it will still be over budget by about $3 million, and the expectation is that this number will continue to decline. Police officials and the mayor hail these changes as groundbreaking, and they are no doubt a step in the right direction. Though it does beg the question of what took so long, as one city councilman stated the changes were 30 years overdue. The easy answer is that the police union and the government couldn’t reach an agreement sooner, but this is hard to believe considering the majority of officers have been clamoring for a four-day workweek for years. And one would assume the department heads have known for some time that flexible scheduling would decrease the need for overtime. In this situation maybe it’s best to simply be satisfied with the changes rather than question why their approval took so long. Baltimore residents should begin to see signs of the new police scheduling system immediately. It is safe to say that there will be more cops patrolling the streets on nights and weekends, and also an increased police presence in areas that have been teeming with criminal activity. Most importantly, the scheduling system will continue to evolve as the police department actively collects and analyzes crime data from all areas of the city. The ultimate goal would be to provide an increased amount of police presence without the need to hire more officers or pay overtime to existing ones. The Blog will continue to follow the aftermath of the new police protocol, and will post a follow up article if necessary. 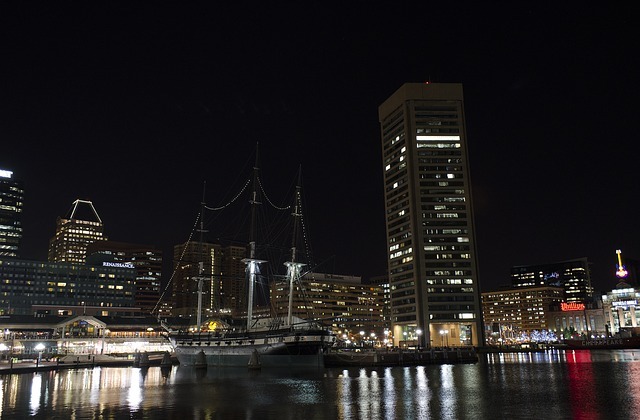 Benjamin Herbst is a Baltimore criminal defense attorney who handles cases in all Maryland jurisdictions. Contact Benjamin at 410-207-2598 for a free consultation at anytime. Patrol shift changes to revolutionize crime fight, Baltimore police say, baltimoresun.com.